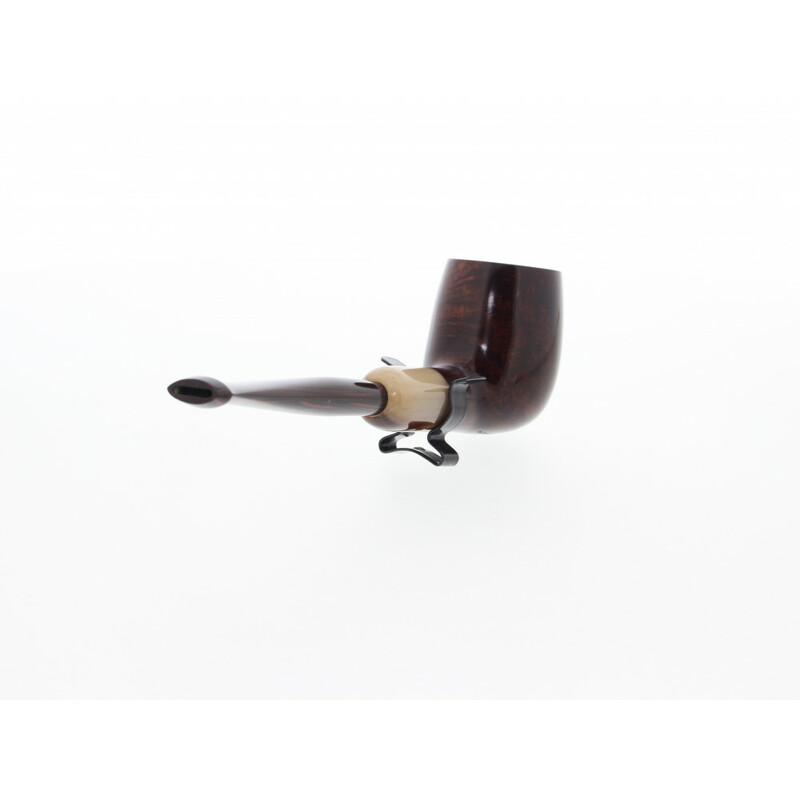 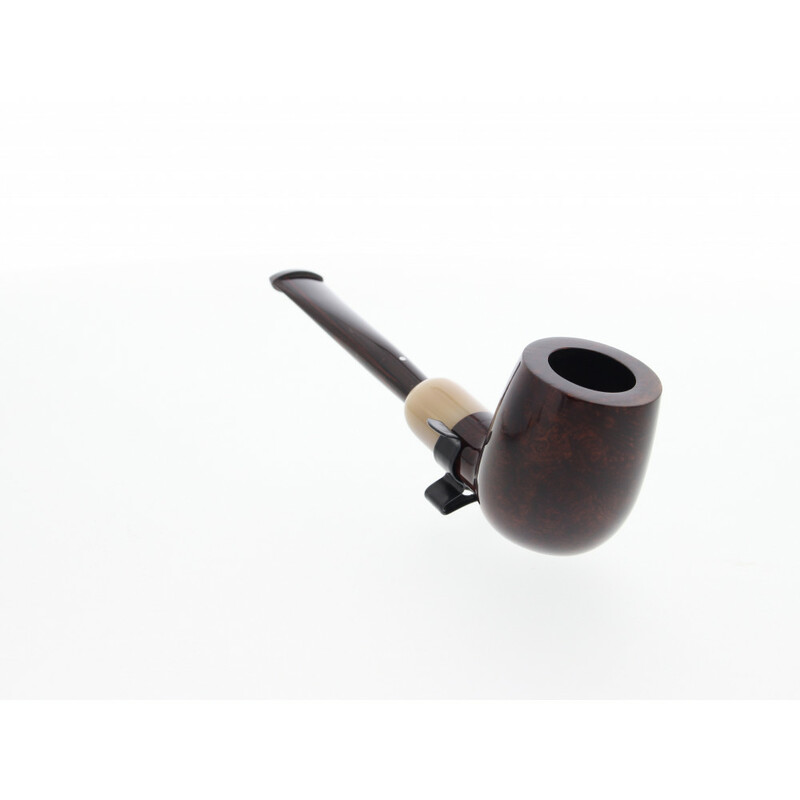 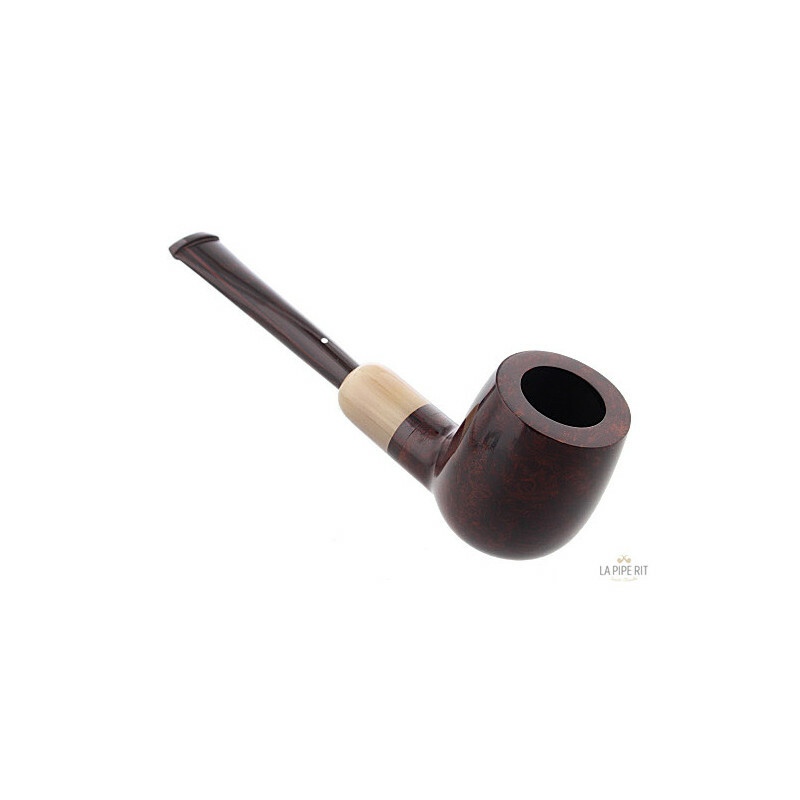 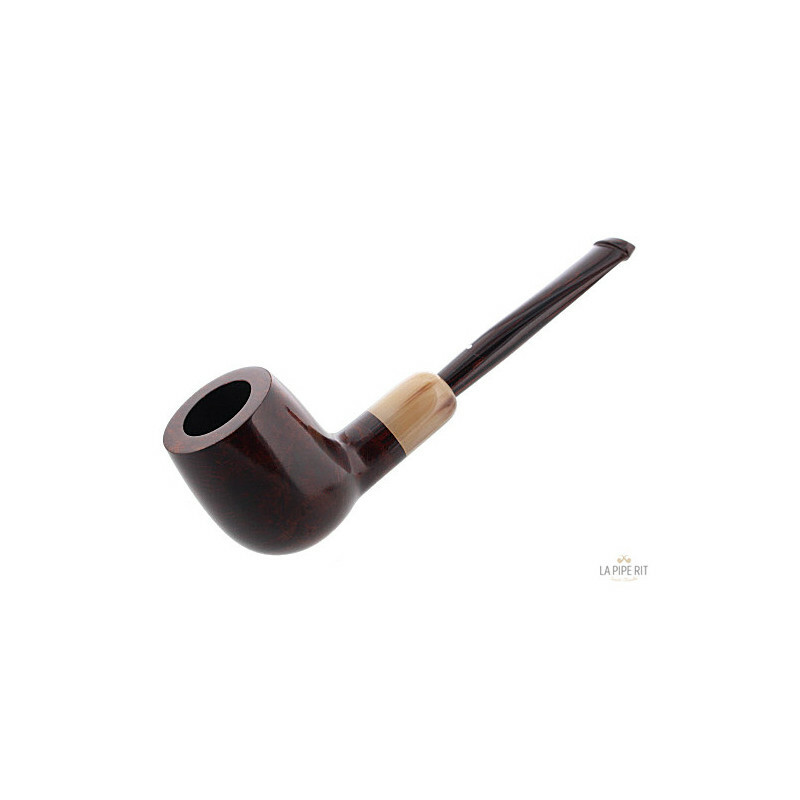 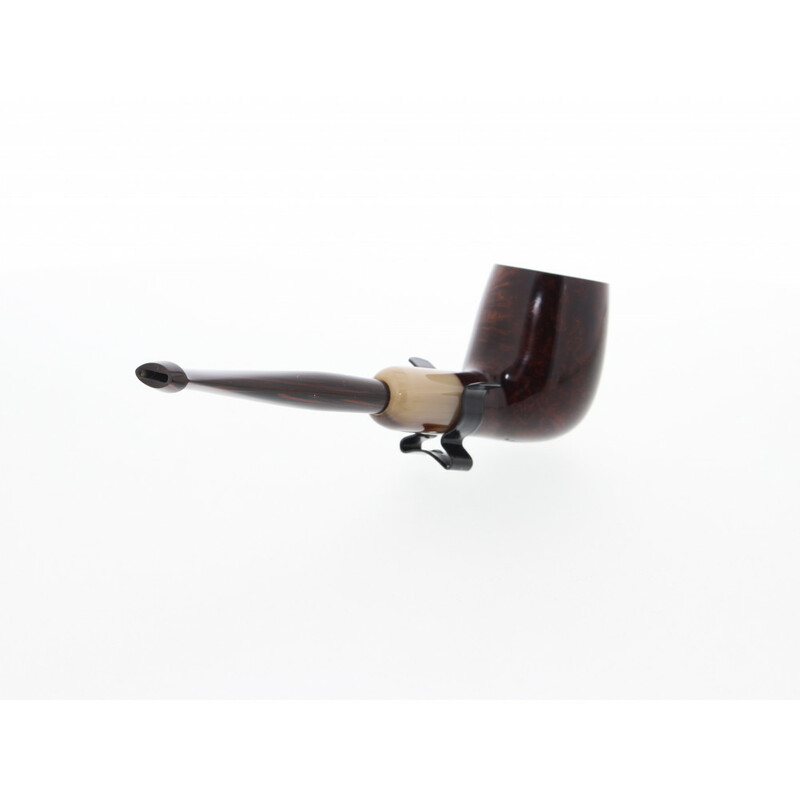 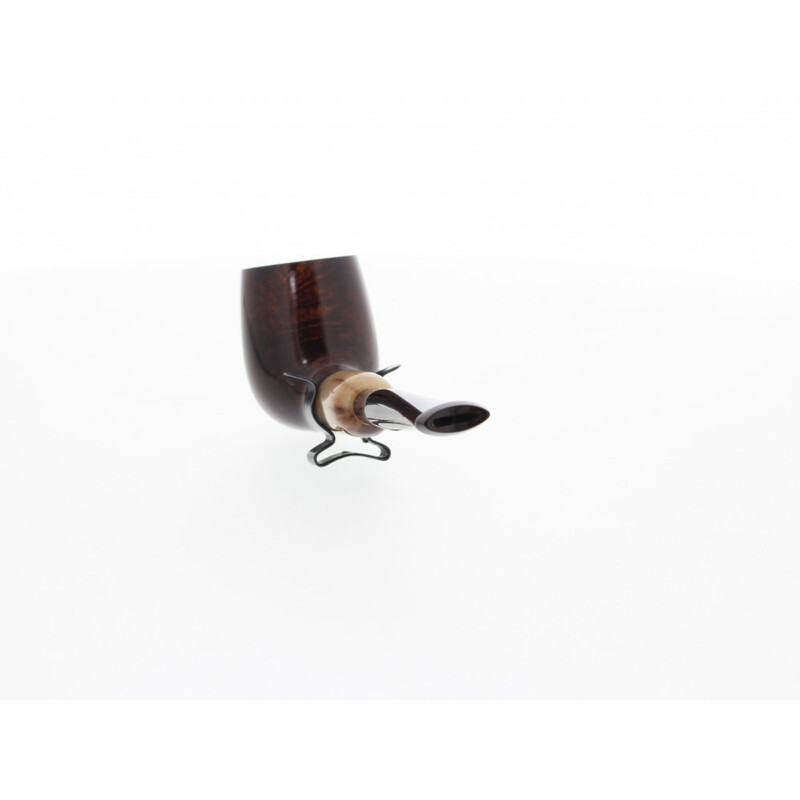 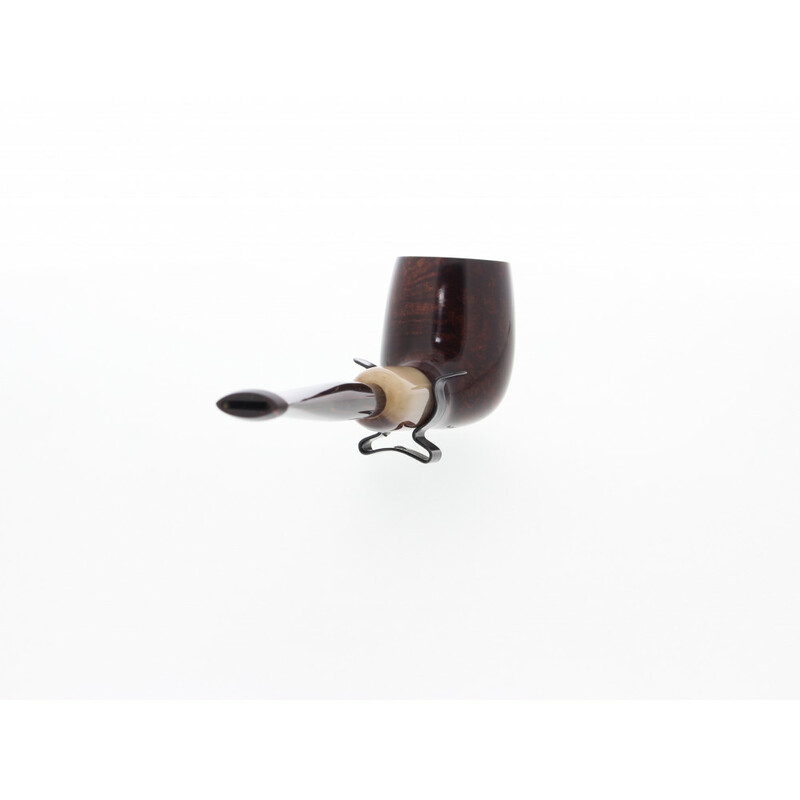 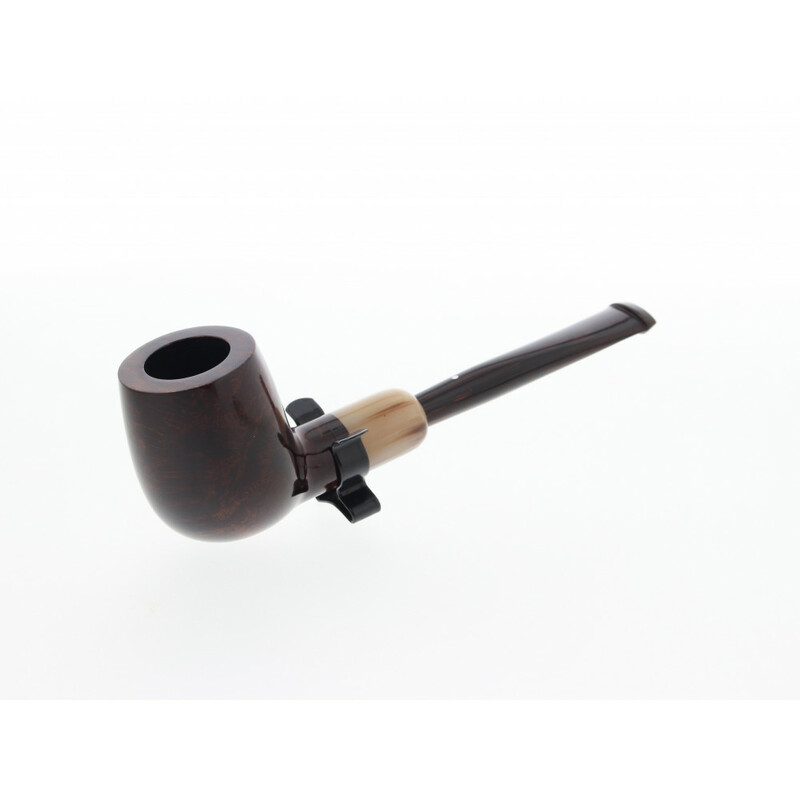 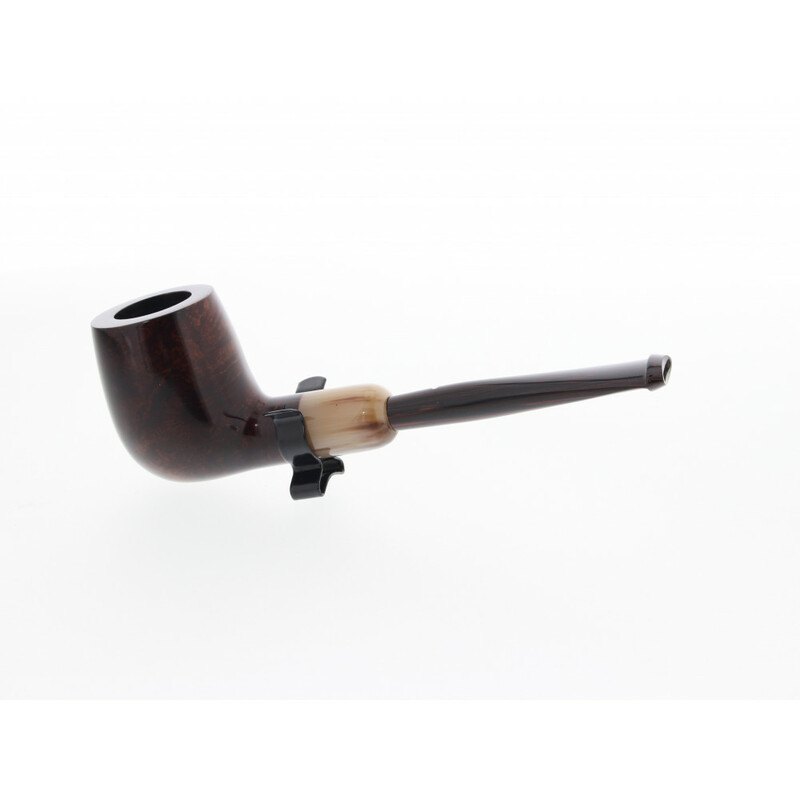 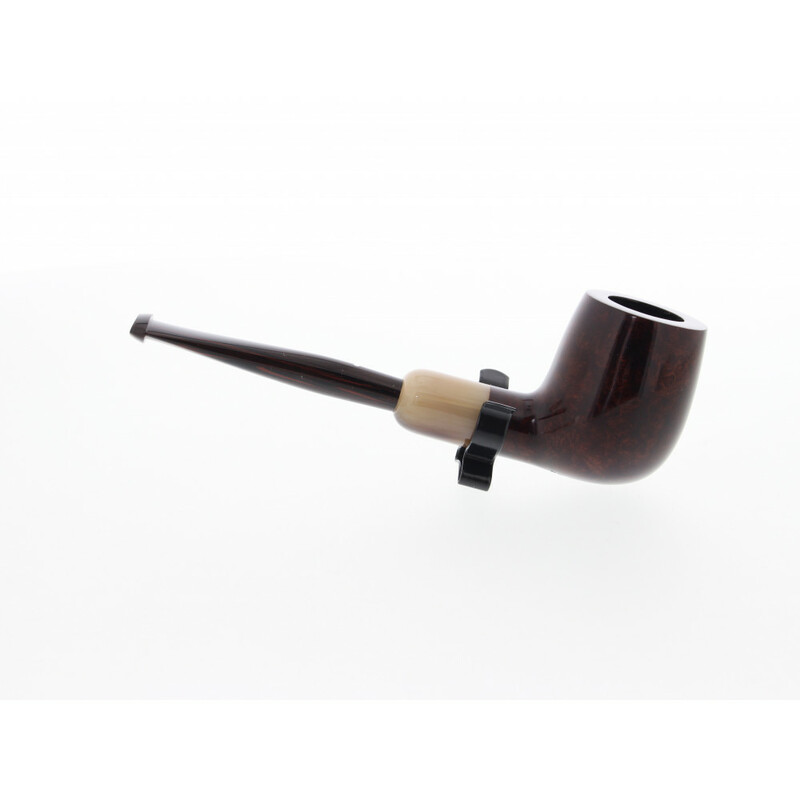 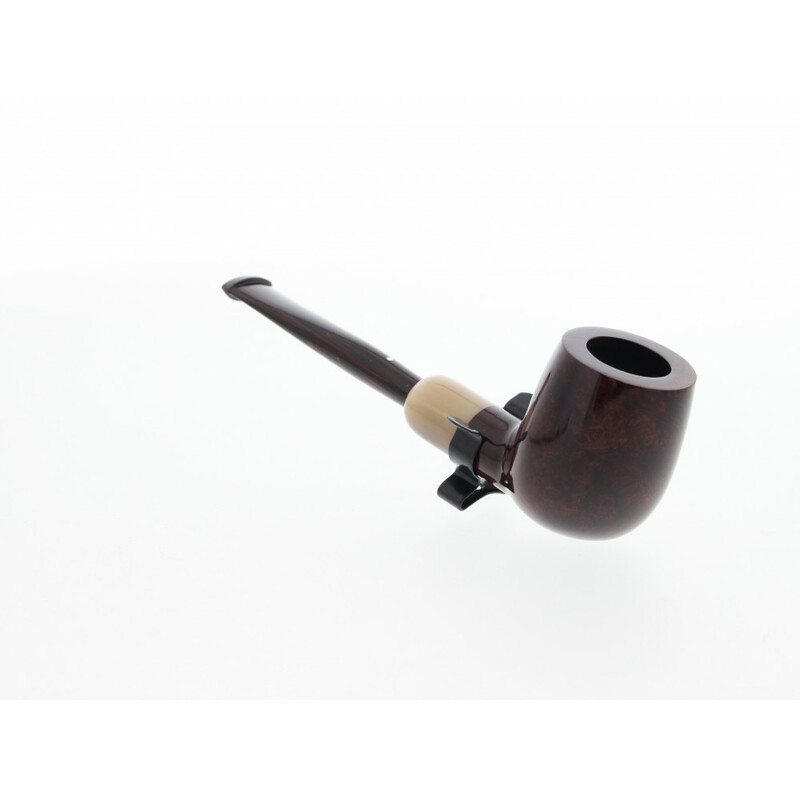 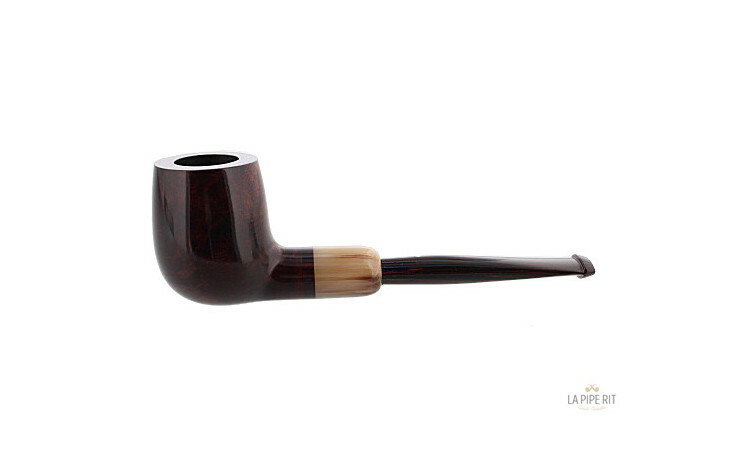 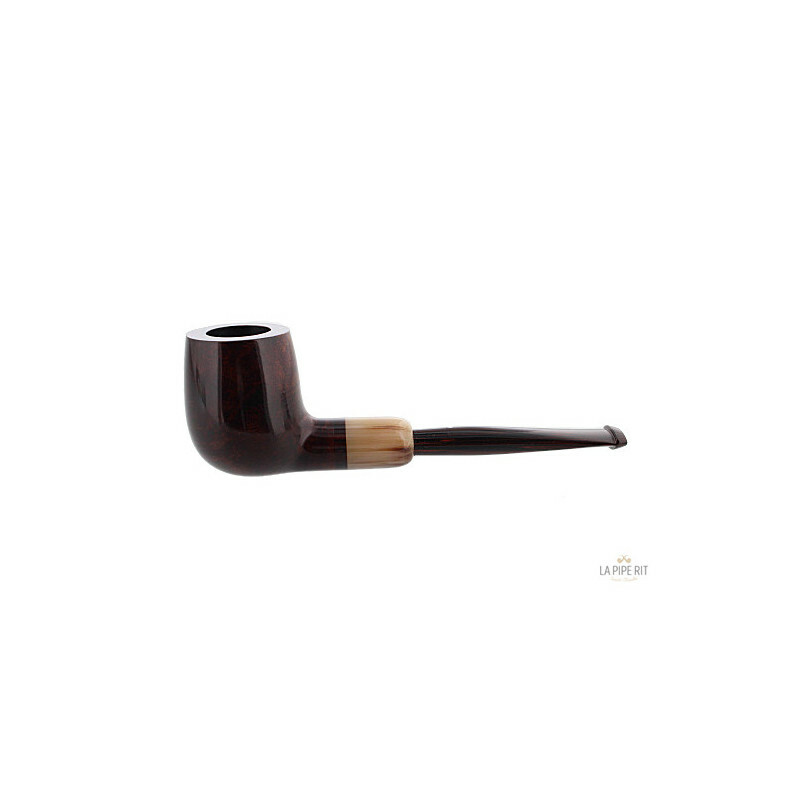 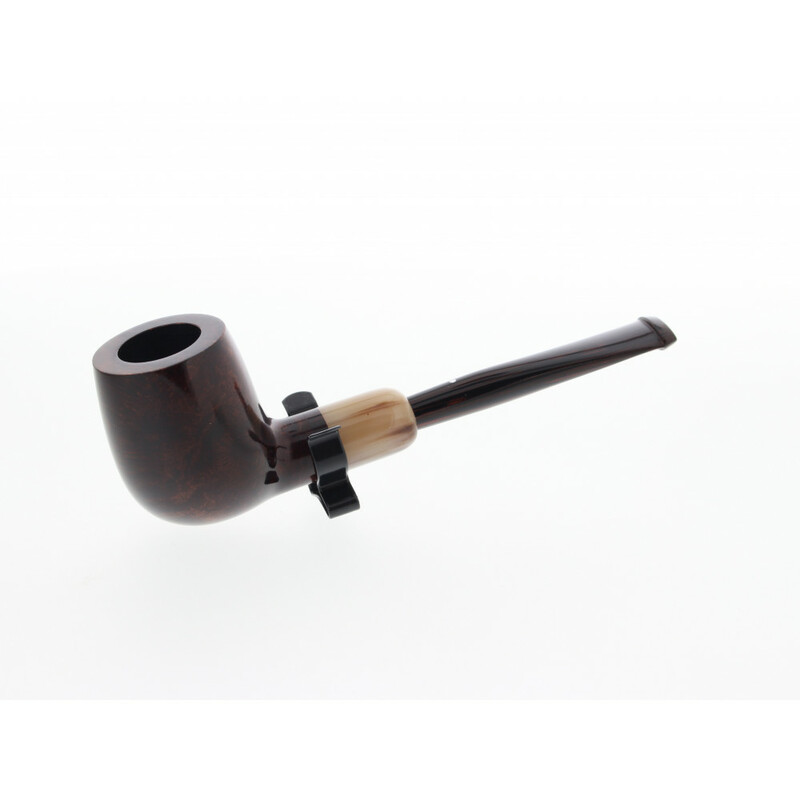 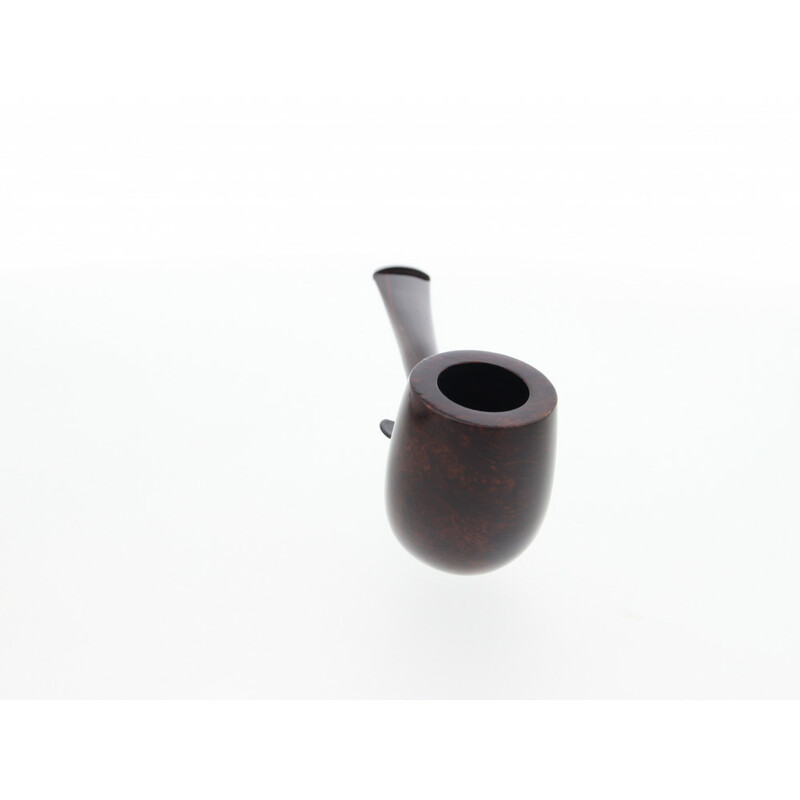 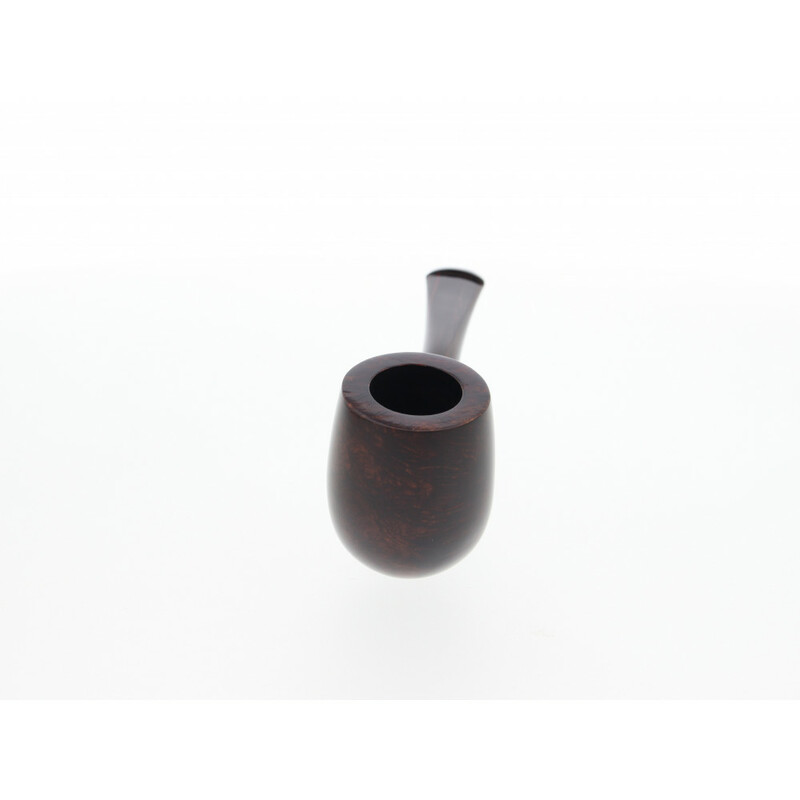 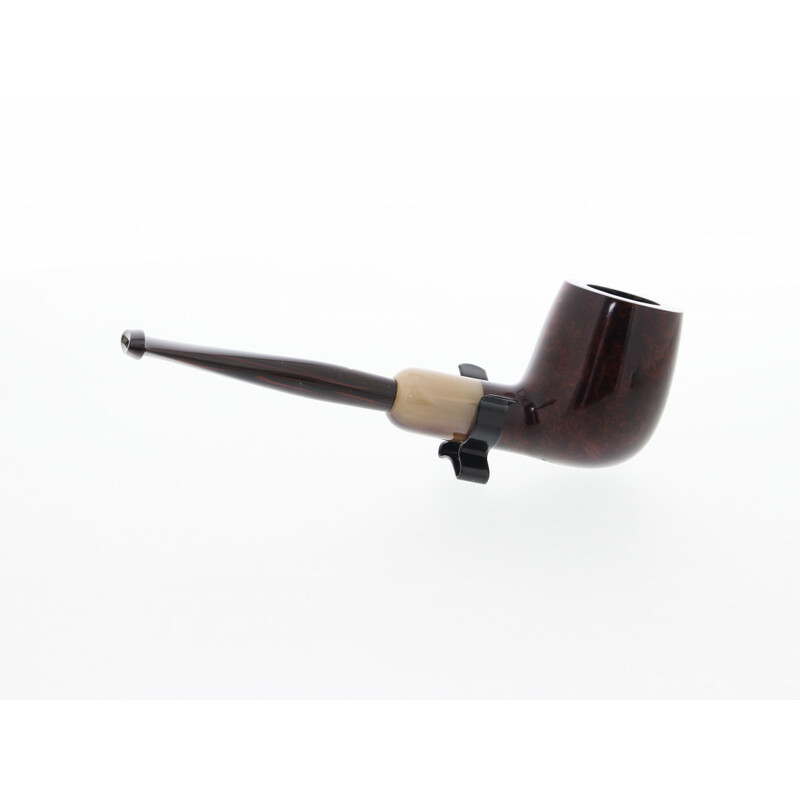 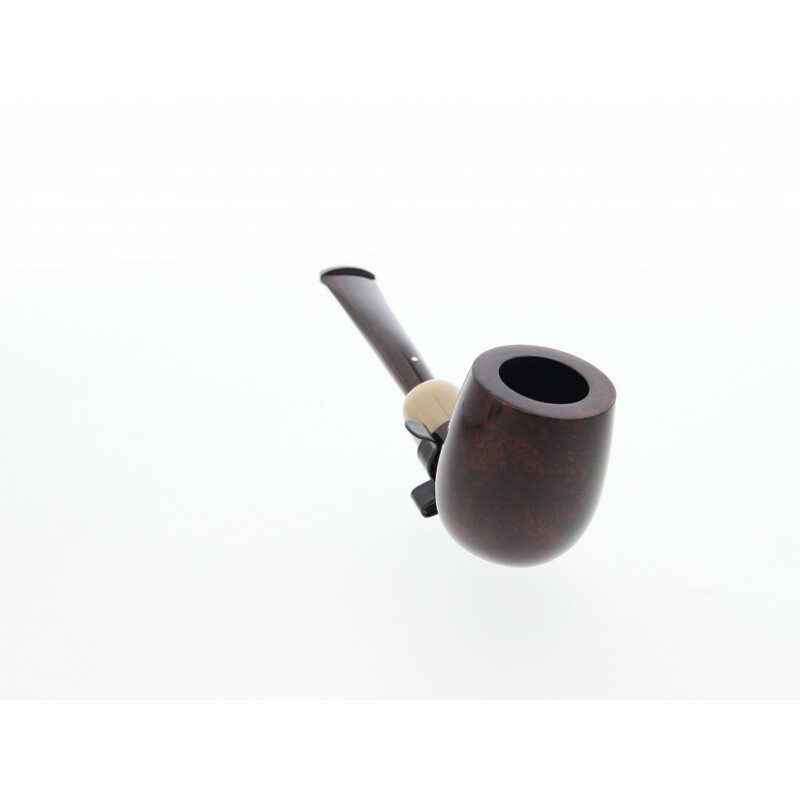 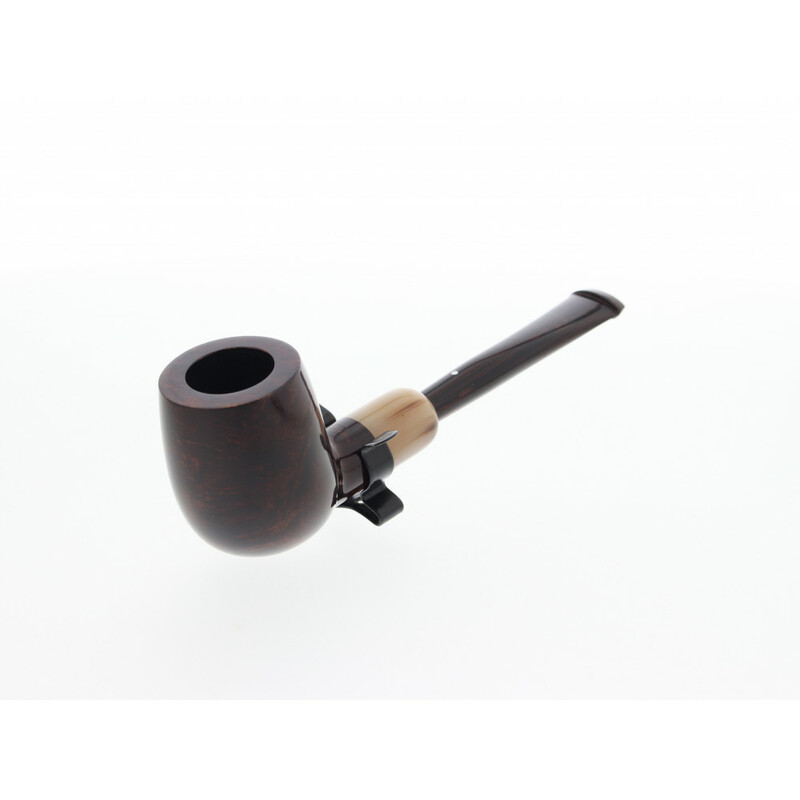 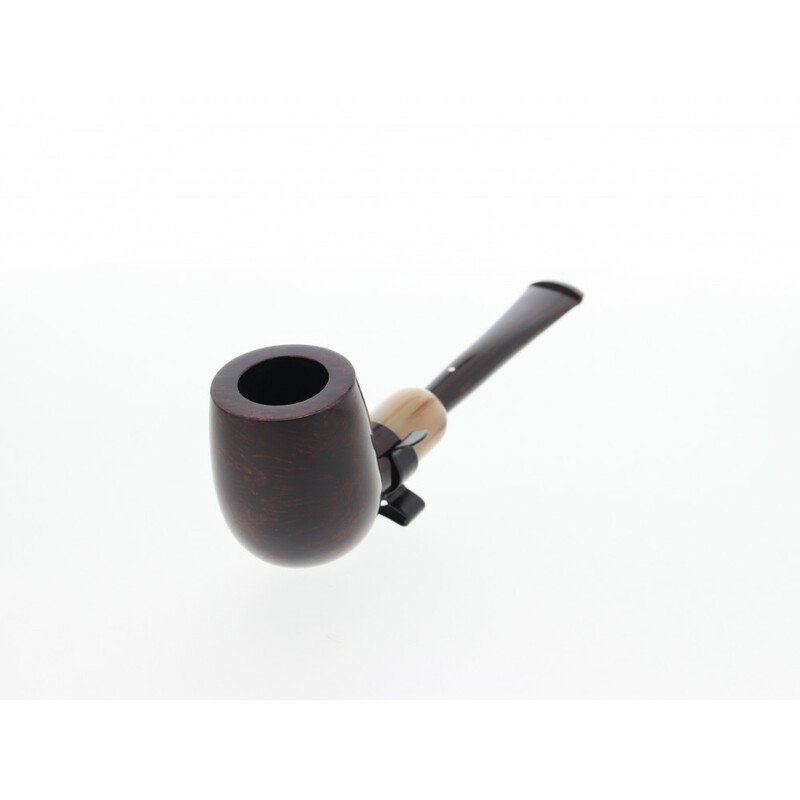 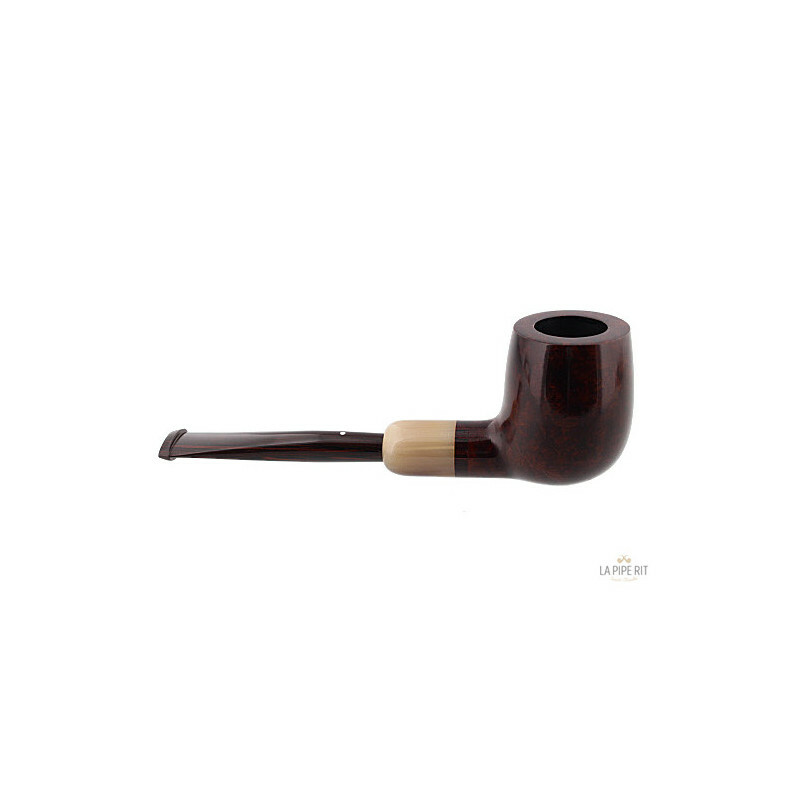 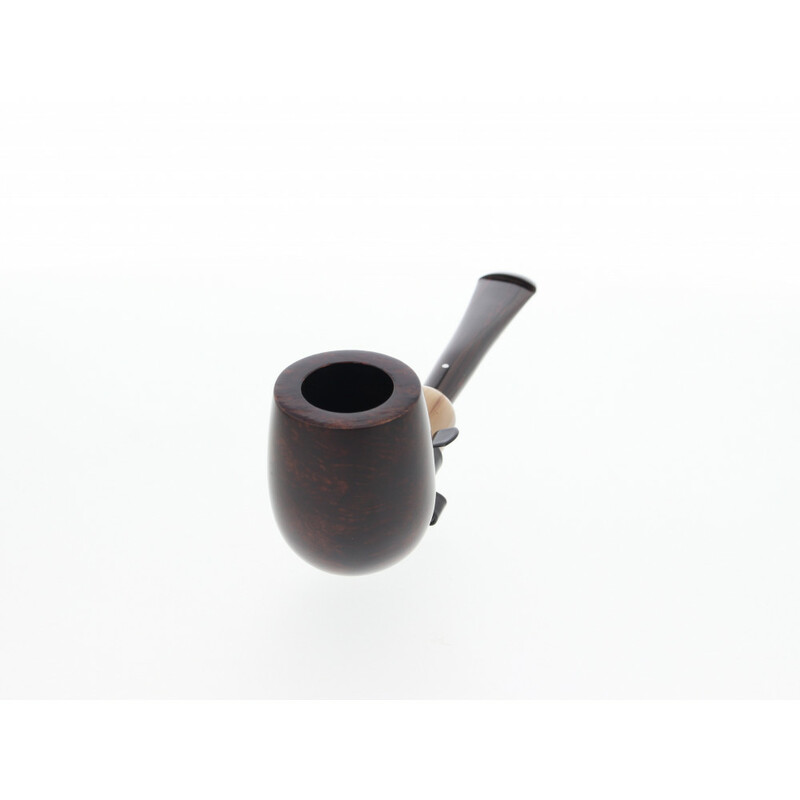 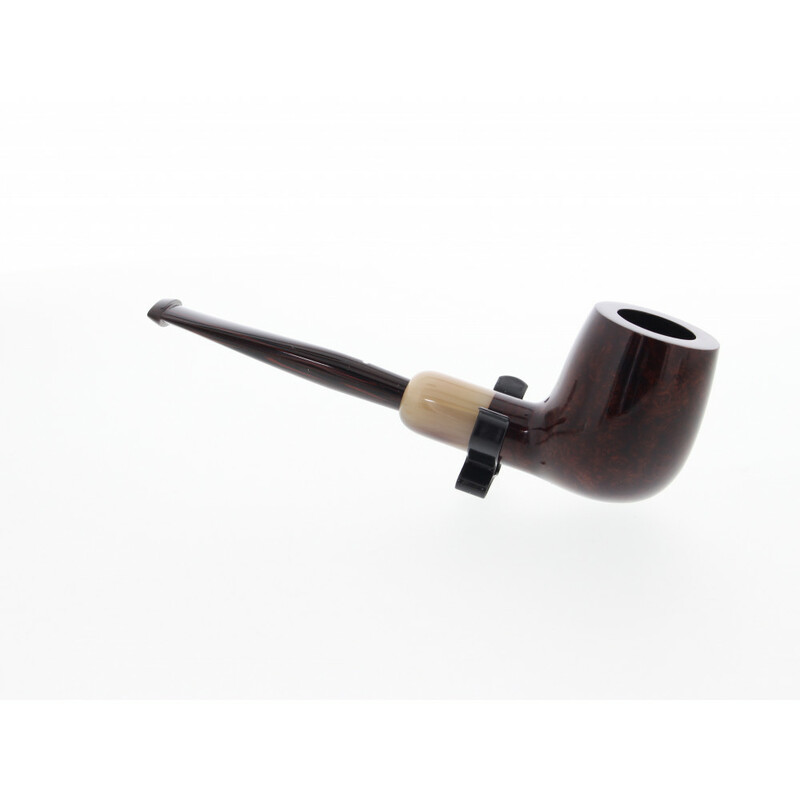 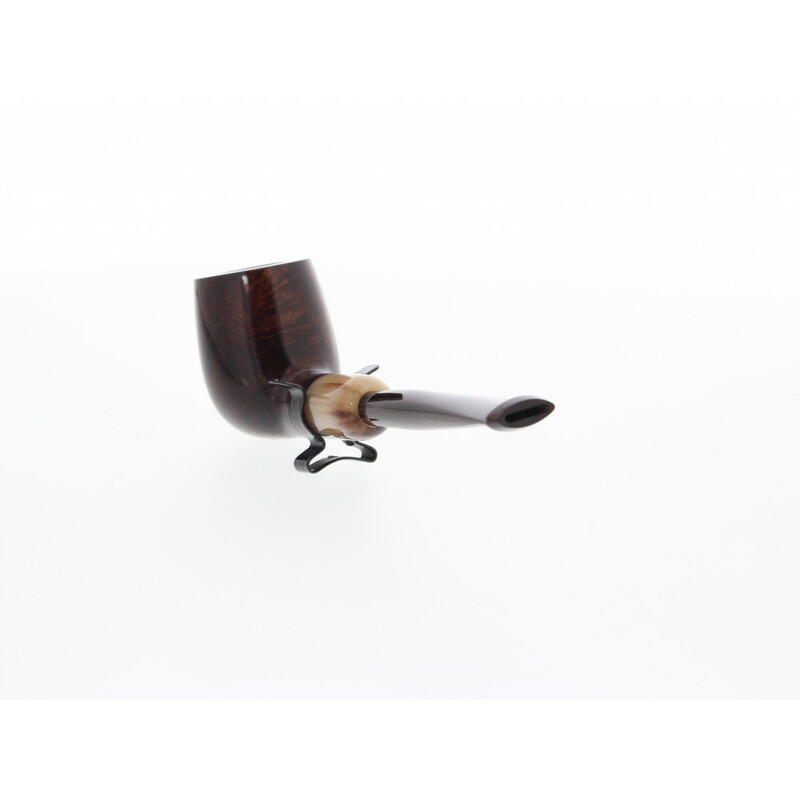 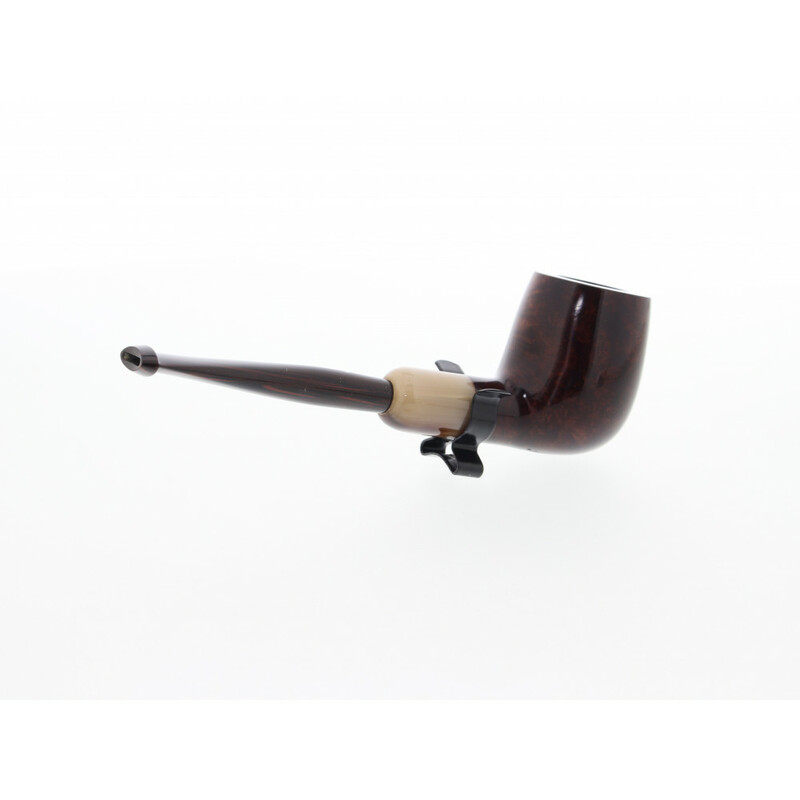 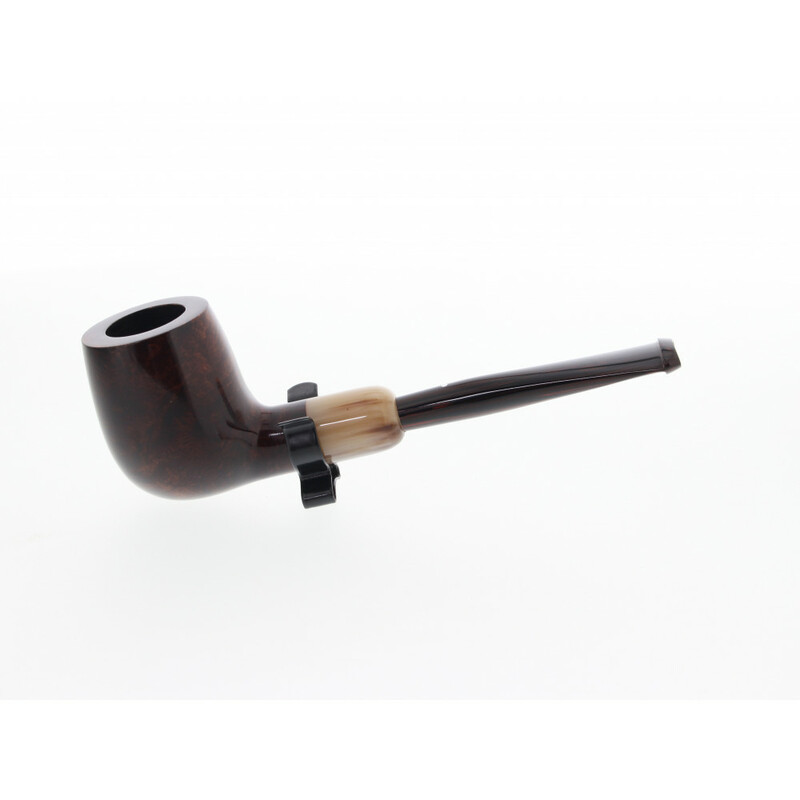 Born in England under the eyes and the hands of a skilled craftstman, this pipe demonstrate the know-how of Dunhill. 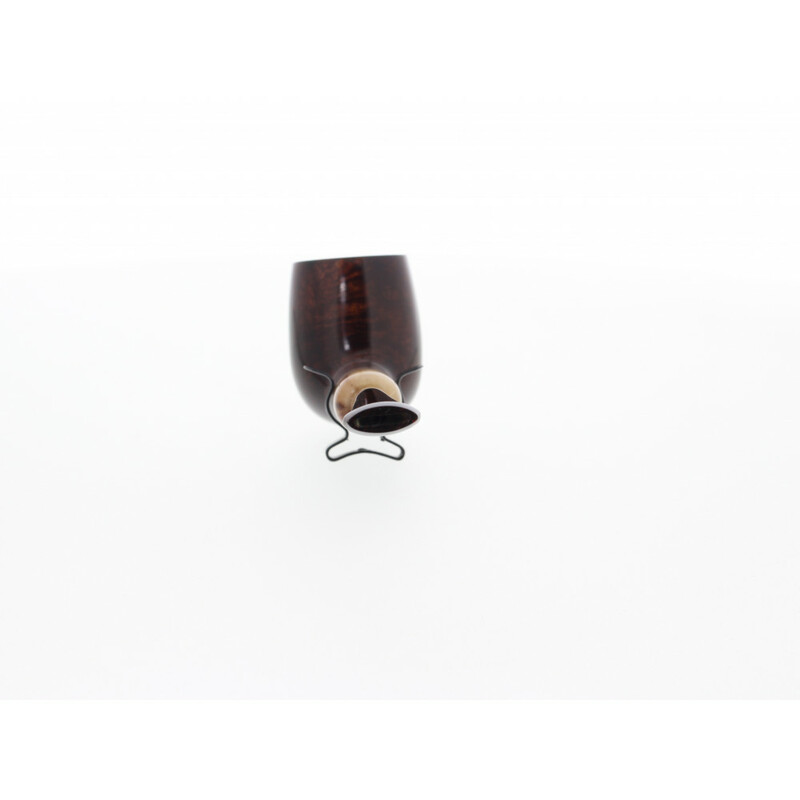 The genuine horn ring strenghten the stem and keeps the cumberland mouthpiece in its slot. 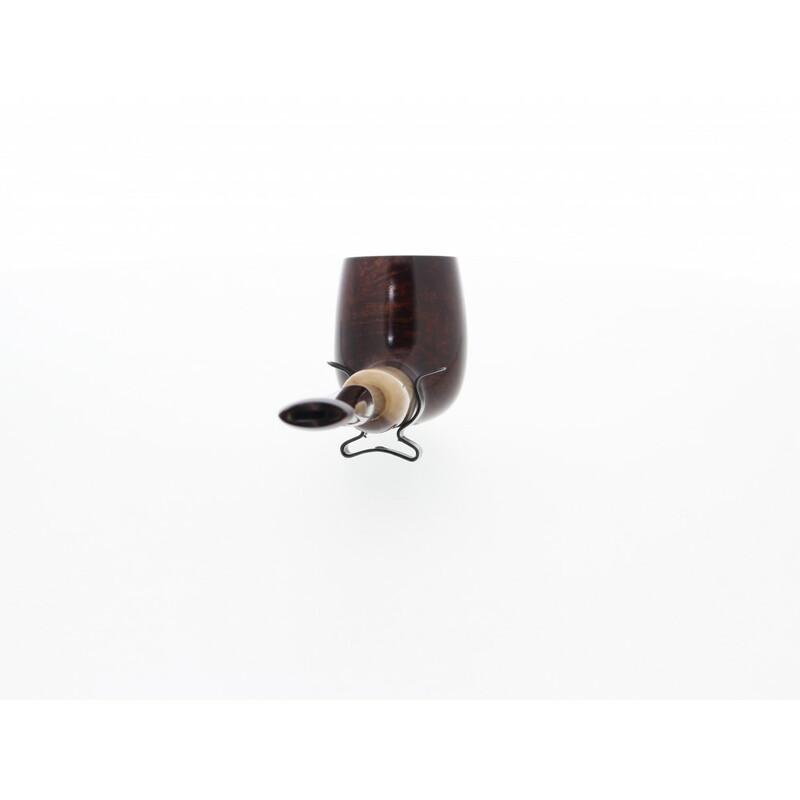 This system, known as "army mount" is incredibly robust and easy to deal with. 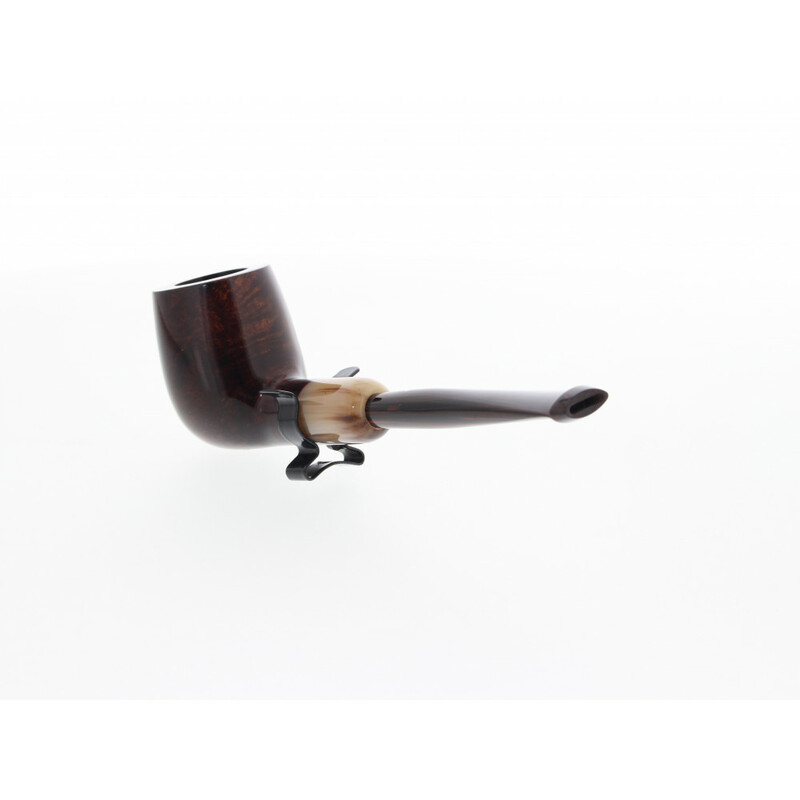 The wide horn ring and the cumberland stem.